My working morning has been enlivened by a pair of Carrion Crows advertising their territory ownership repeatedly from atop the building opposite my office. They use a peculiar call for this, which has a a honking horn quality, drawn out and without the 'r' sound present in many crow calls. It carries far, and is made while the bird carries out a self-advertising display, by bending forward exaggeratedly, with the tail fanned and, as they make the call they stretch forward and back on a graceful curve. I photographed the pair yesterday nearby (above), with one of them doing the advertising call. This is the call from a Xenocanto recording by Matthias Feuersenger. 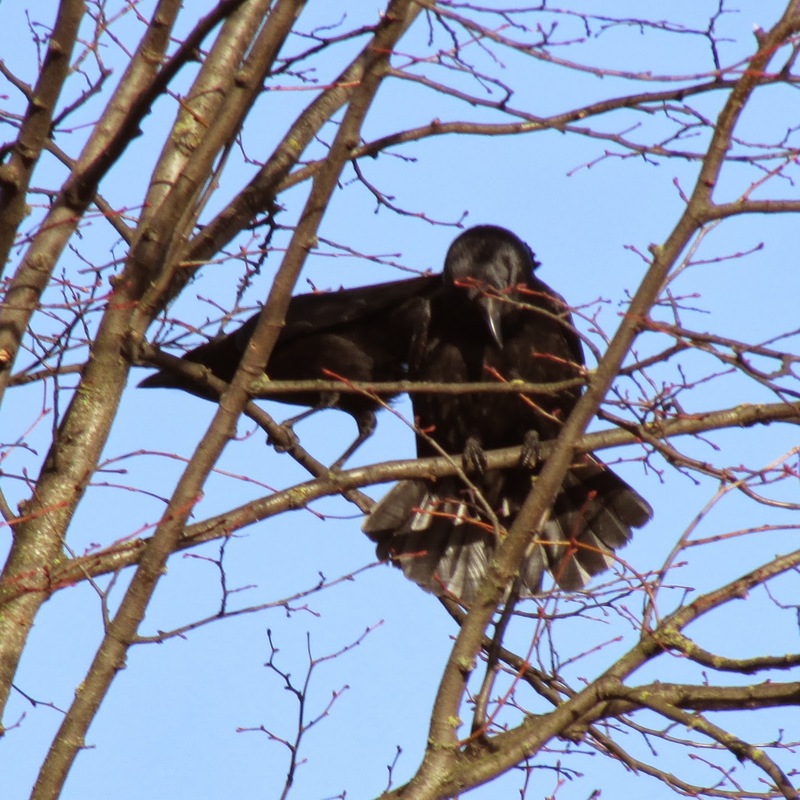 More Carrion Crow calls from the blog 'Echoes from Nature" here. I have been watching similar behaviour here. Thank you for the introduction to Echoes from Nature, I have been enjoying the sounds of background birds, as well as the Crows. Thank you so much for this informative post. For literally years I have been hearing this call in the old woods behind my house and despite hours of searching, (I assumed it had something to do with ducks or geese) I came up with nothing. Today the sound was very close and when I looked out, three crows were sitting on a tree in the garden. It never occurred to me that it could be crows until I googled 'crows honking' and found this post. The mystery is finally solved!